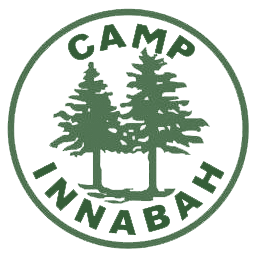 Innabah is excited to celebrate our 91st year of camping ministry in 2019! Here at Innabah, our mission is to provide experiences that last a lifetime in an environment where campers and guests can make new friends, challenge themselves, and explore and grow in their faith. In addition to continuing our long standing camp traditions, we are excited to offer many new summer camp sessions and activities for the 2019 camping season. Innabah Camp and Retreat Center is proud to be accredited by the American Camp Association, which means that we have met over 300 standards of safety, programming, and operation to ensure that your campers have an optimal experience during their time with us. Located in beautiful Chester County on 179 acres, Innabah Camp and Retreat Center offers a wide range of camping and retreat opportunities. With French Creek weaving its way through our property, it truly is a place to get away from it all. From the rustic Outpost Cabins in the woods to our hilltop cabins (with electricity) to our heated and air conditioned lodges (with living spaces and meeting rooms), there is something here for everyone. Innabah is the perfect place for campers young and old to explore their faith and have fun doing it!